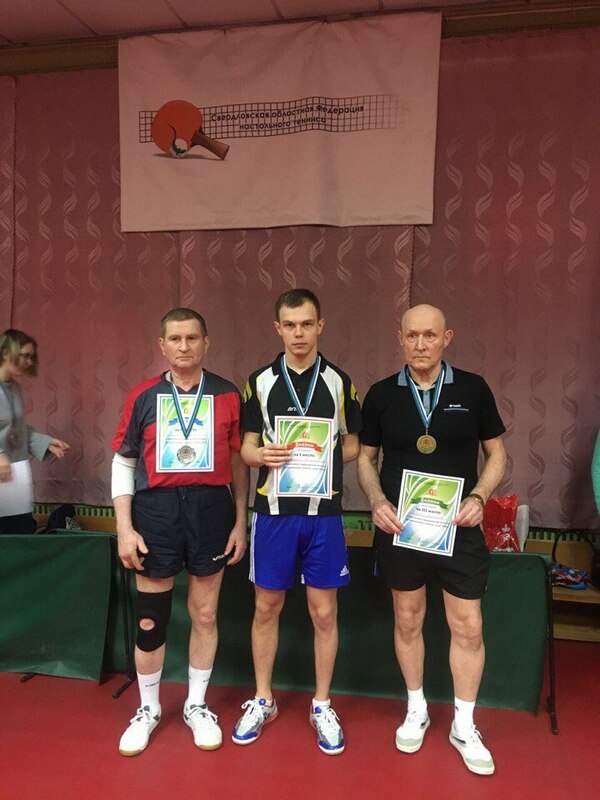 A USUE Student Konstantin Kislitsyn won gold in the table tennis championship of the Sverdlovsk region among persons with mobility disabilities. The competitions were held on March 13. The best tennis players from Bogdanovich, Serov, Asbest, and Yekaterinburg competed for places on the podium. Konstantin Kislitsyn turned out to be the youngest participant but this did not prevent him from taking a leadership position already in the first round. The tennis player tells that the wins are not easy but the years of intensive training bring results. The first major success came in 2012 when the young man began to train under the guidance of a coach Valentina Malyshkina . Even then, Konstantin became the winner of the Championship of Russia and a silver medalist in doubles among persons with mobility disabilities. The same year, he became a bronze prizewinner of the Festival «Parafest» and won the Championship of the Sverdlovsk region in table tennis. Since then, luck always accompanies the athlete: he annually takes prizes in major competitions. The USUE student repeatedly became the prizewinner of the Championship of Russia, the Championship of Sverdlovsk region, and other competitions and today is a master of sports of Russia. Still, the main dream of the young man is a victory in the Paralympic Games. "For each athlete, the main thing is participation in prestigious competitions. For me, it is Paralympic Games. To make my dream come true, I work a lot and constantly participate in other competitions, improving my level of preparation. For example, today I am flying to Italy to get experience and gain rating for selection, among others, to the World Cup and Paralympics, «Konstantin comments. Konstantin also noted that it was very important to constantly move forward. For example, now the tennis player is preparing for the next Russian Championship to be held in April. Last year, he became a bronze medalist and this time he plans to be the first at the podium of the main Russian competition.